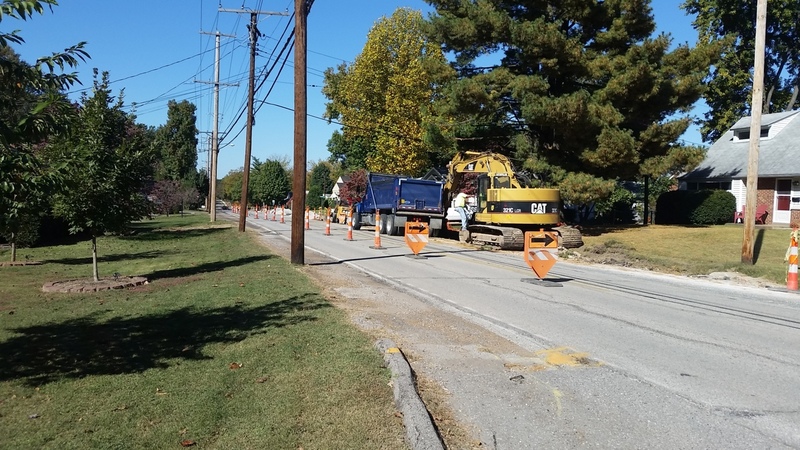 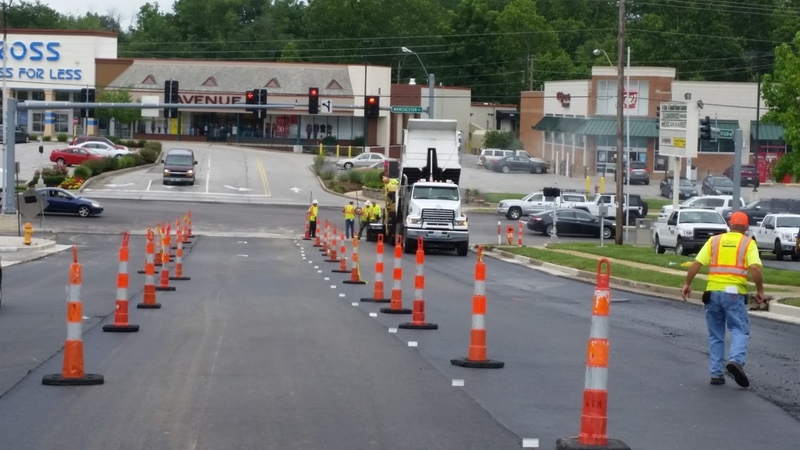 West Contracting replaced the sewers, added sidewalks, new lighting, and resurfaced Litzsinger Road from Brentwood Road to McKnight Road in 2015-2016 for the City of Brentwood. 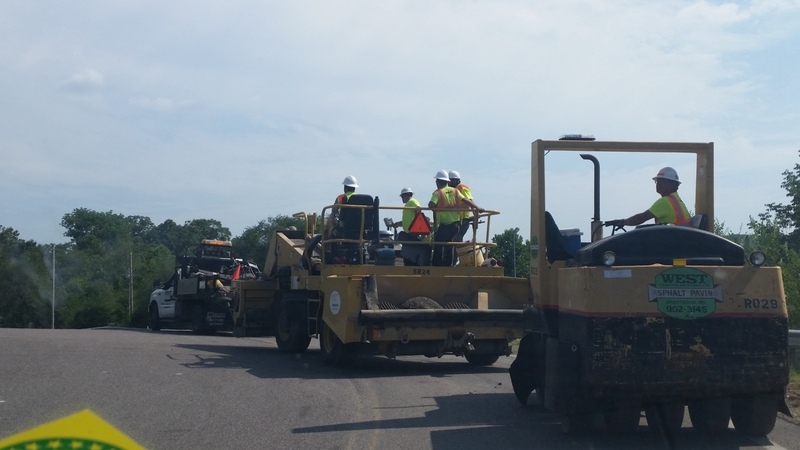 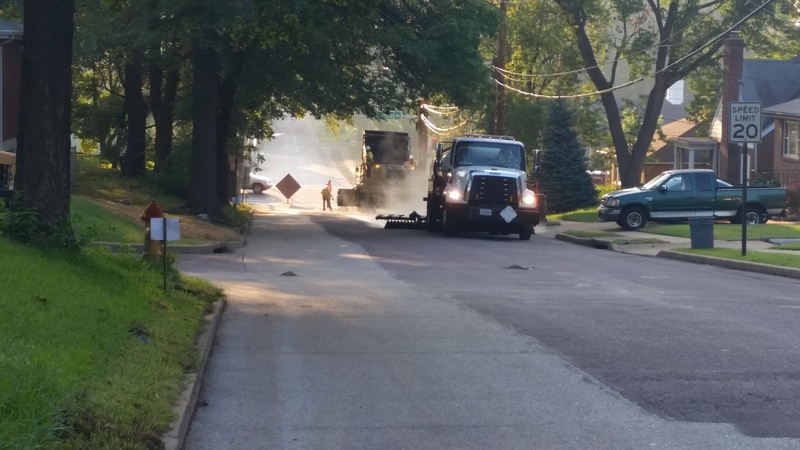 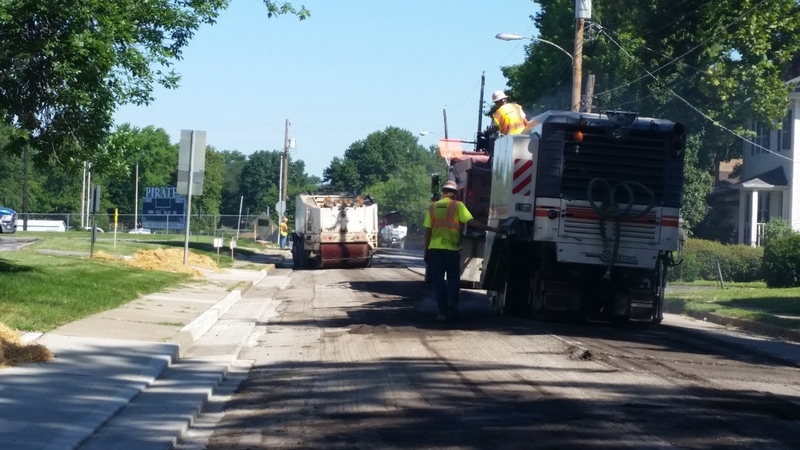 West Contracting was awarded the 2015 Asphalt Maintenance Contract for the city of St. Charles in 2015. 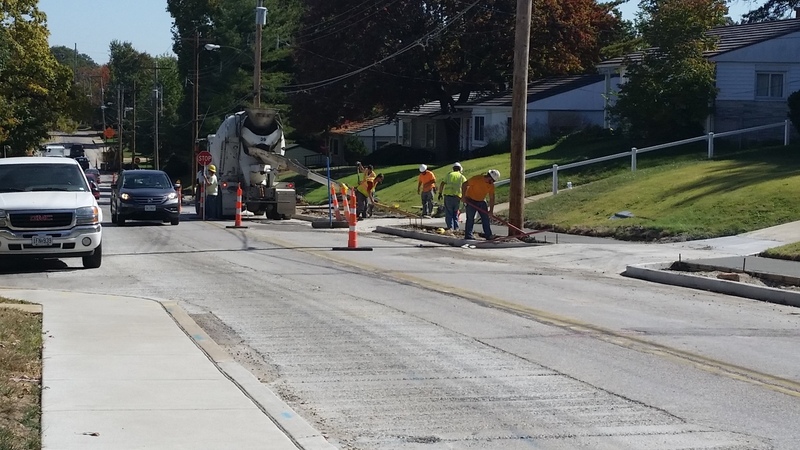 This included fixing various sections of Curb and Gutter, sidewalk, reconstrucingt one street, milling and replacing various streets, installing UBAWS (ultrathin pavement) on various streets, and crackfilling a variety of streets. 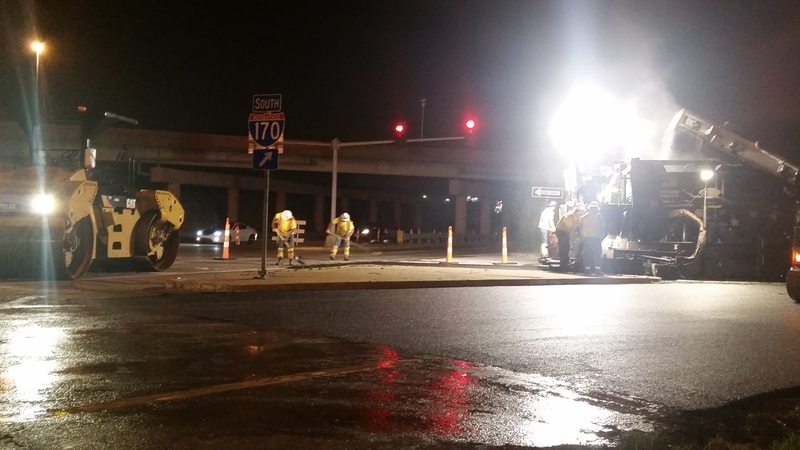 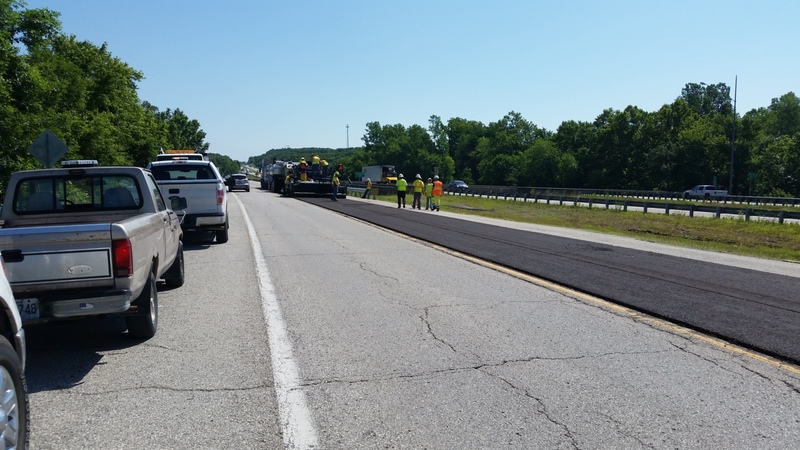 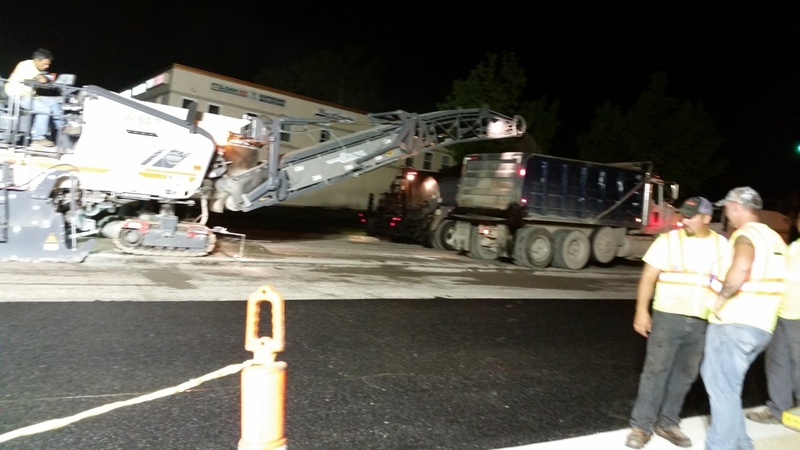 West Contracting resurfaced I-170 with a dense graded stone matrix asphalt(SMA) and used a spray paving machine to insure a superior bond to the polished concrete. 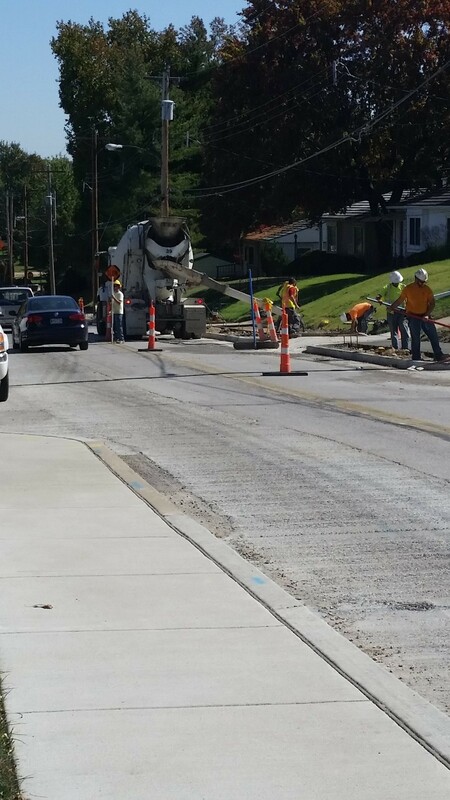 This job was completed Summer 2015. 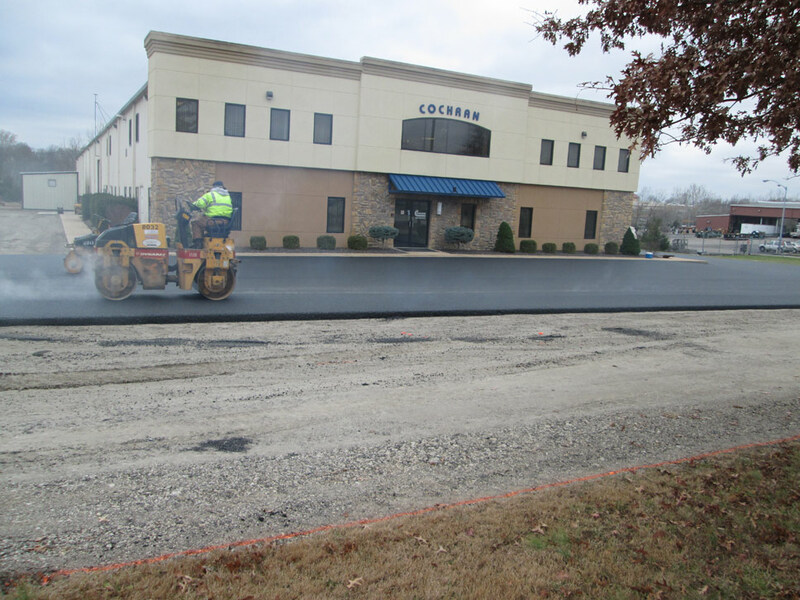 West Contracting milled 5" of conventional asphalt and placed back two lifts for a total of 5" of Superpave Aphaltic Concrete. 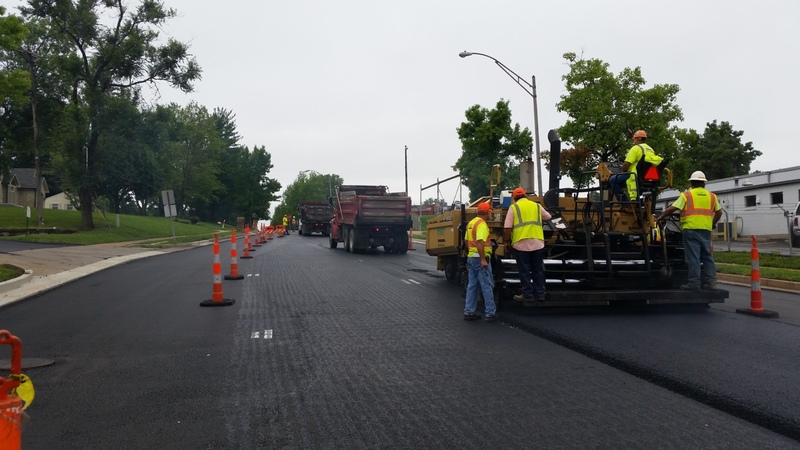 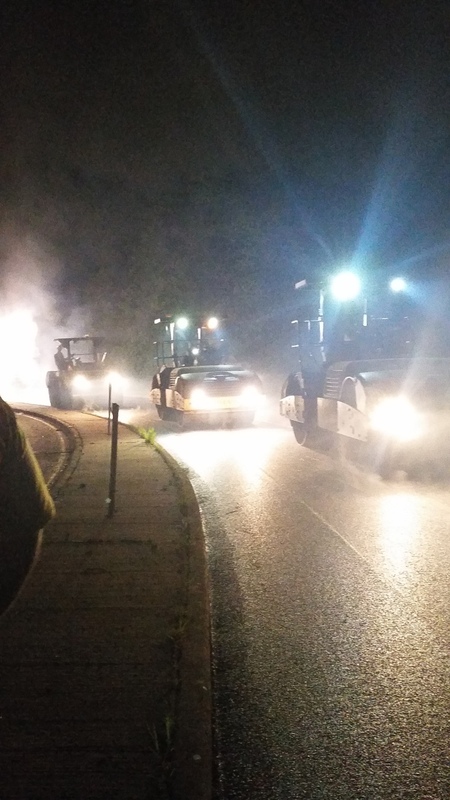 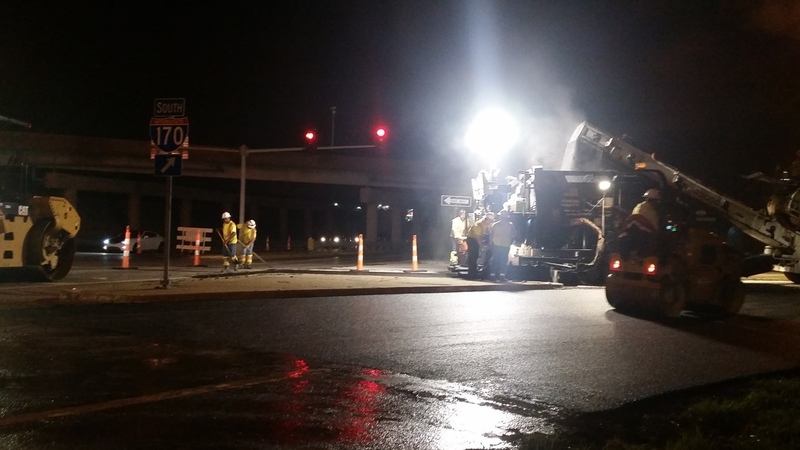 All of the milling and base asphalt were completed in one night, and the final surface lift of super pave was completed two days later under traffic. 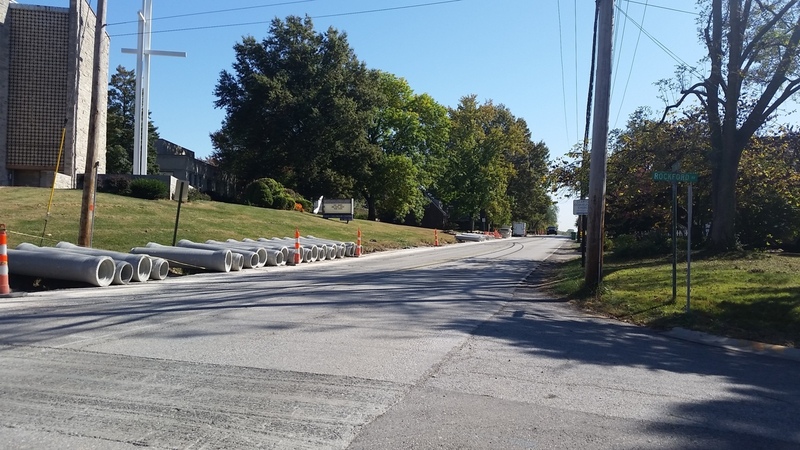 For the second year, West Contracting helped the City of Ballwin complete its annual SAMI project. 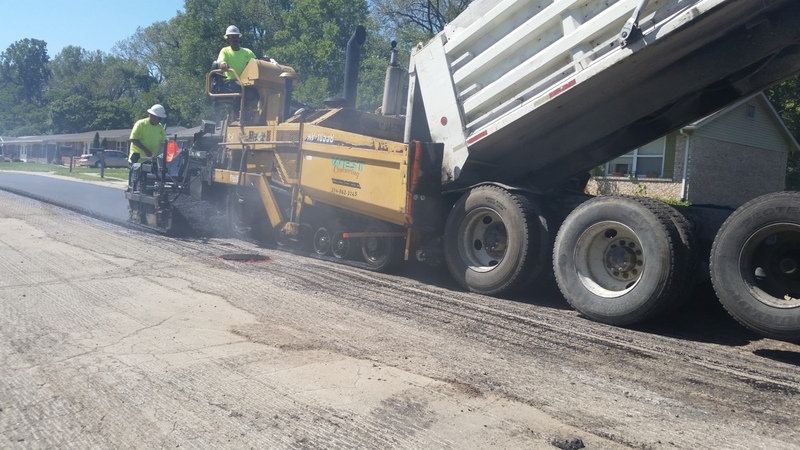 This includes placing a limestone chip seal over old concrete, and then installing a 2" hot mix asphalt overlay over the chip seal. 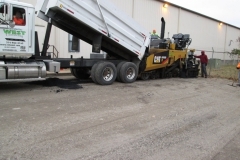 The thick placement of oil in the chip seal helps absorb movements from the concrete to hold back reflective cracking, as well as deter other cracks coming back through the new asphalt pavement. 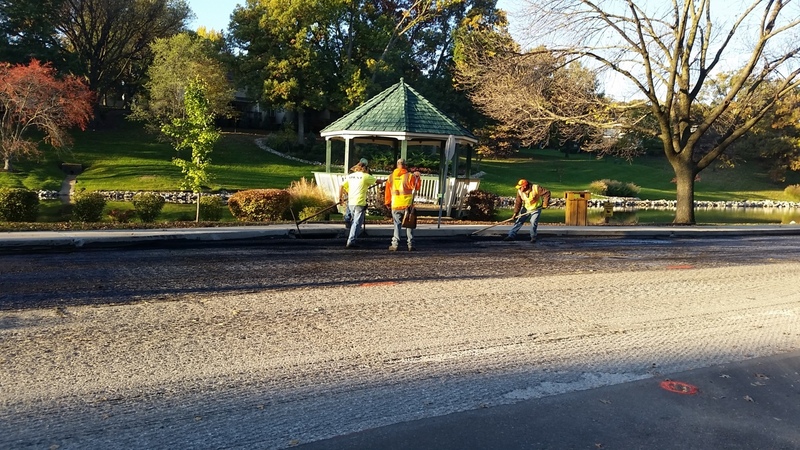 The oldest and most historic Cemetery in St. Louis, final resting place of Lewis & Clark, Adolphus Busch, and many others, was looking for a contractor to help chip seal approximately 25% of the roads winding through this beautiful cemetery. 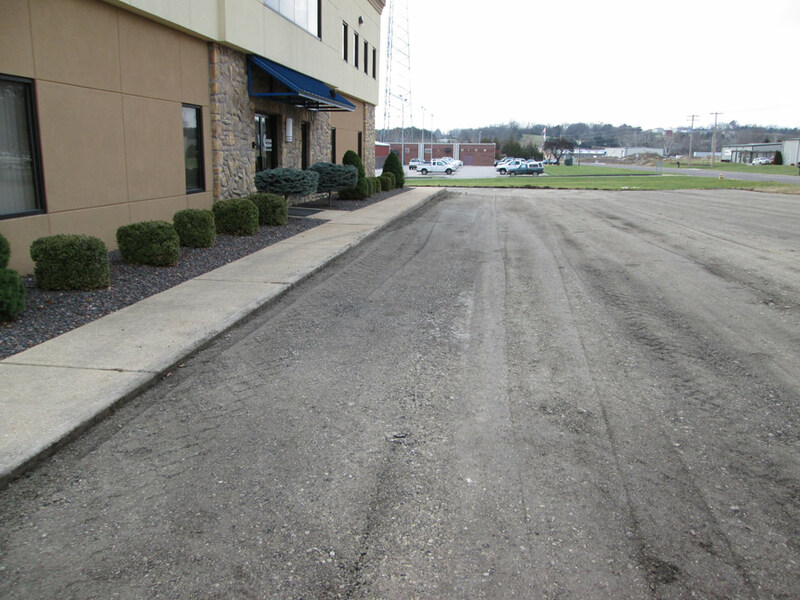 West Contracting installed a 3/8" Granite trap rock chip seal to the contracted streets. 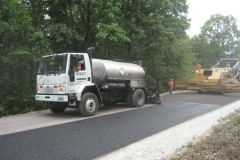 This is the most common chip seal stone in Missouri, known for its abrasive properties, longevity, and appealing look. 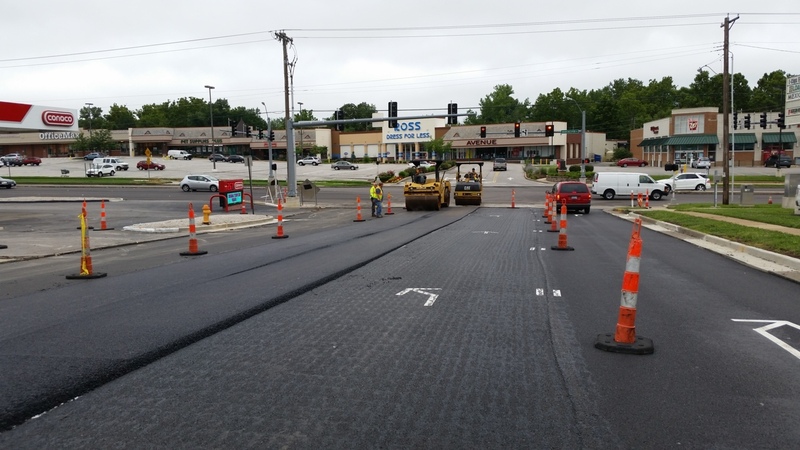 The City of Byrnes Mill hired West Contracting to mill off approximately 10" of a bridge deck and place a fabric interlayer and 2" of asphalt back to increase the weight limit for vehicles traveling over the bridge, and then install a chip seal over all of Lower Byrnes Mill Road. 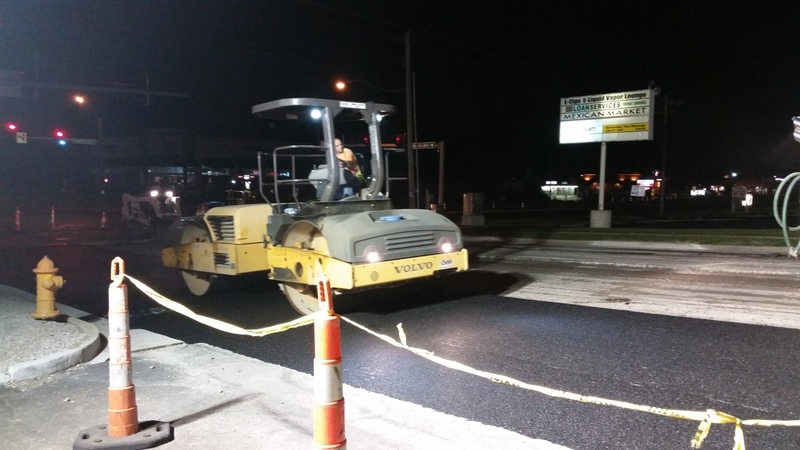 The chip seal was used to seal cracks in the road and preserve it for years to come. 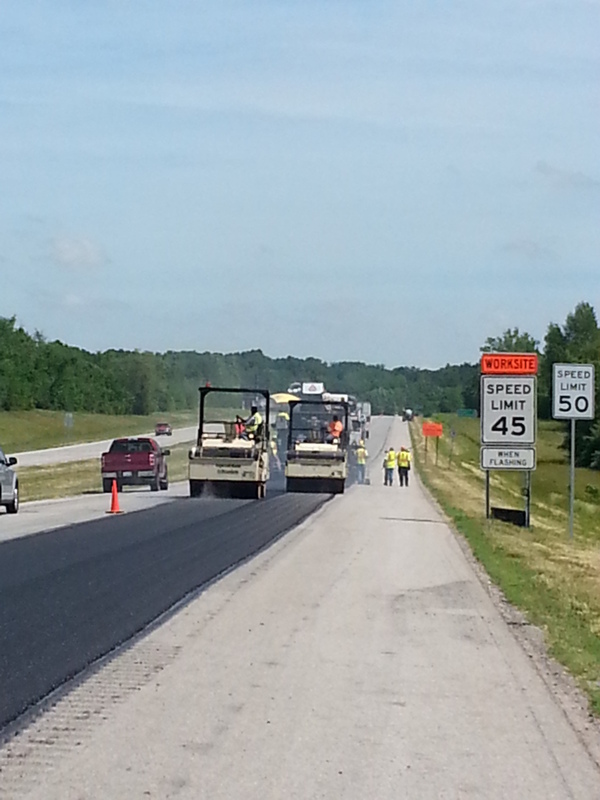 West Contracting completed this project for MoDOT summer 2015. 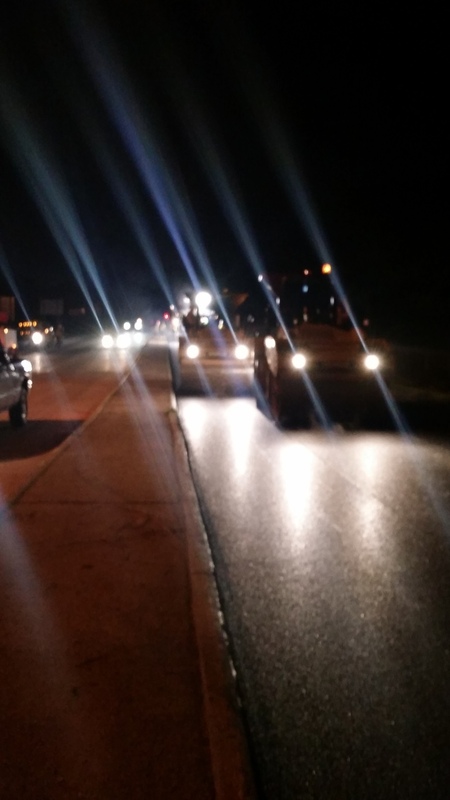 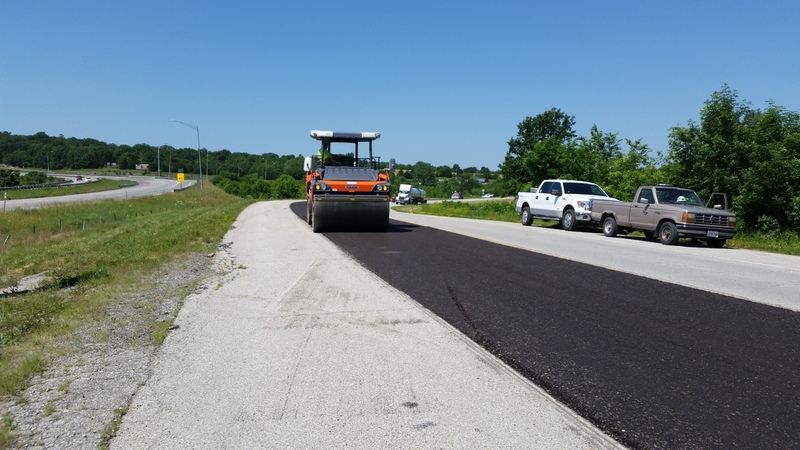 We first milled off 1" of the entire roadway between the Union and Washington exits off of I-44. 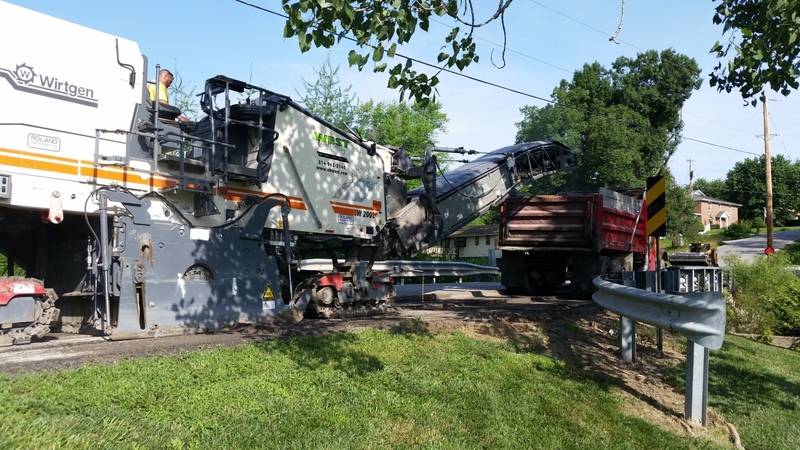 After the milling, we used a 12.5' Wirtgen Rotomill/Cold In Place Recycling machine to mill and fractionate 5" of the existing roadway, blend this with an asphalt emulsion and water, and place this material into the hopper of a conventional asphalt paving machine. 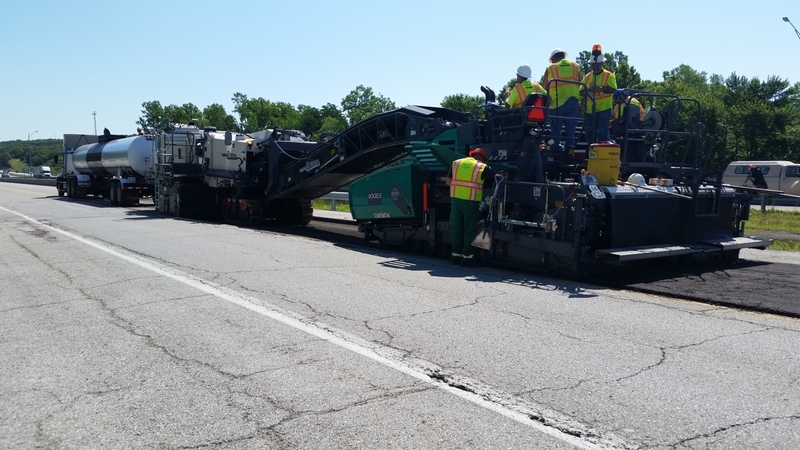 The conventional paving machine then installs this material back onto the roadway to be compacted. 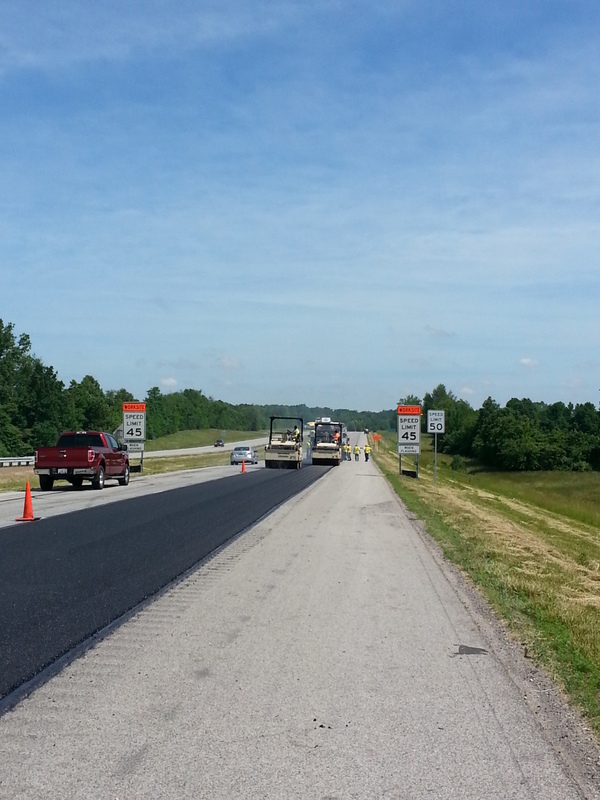 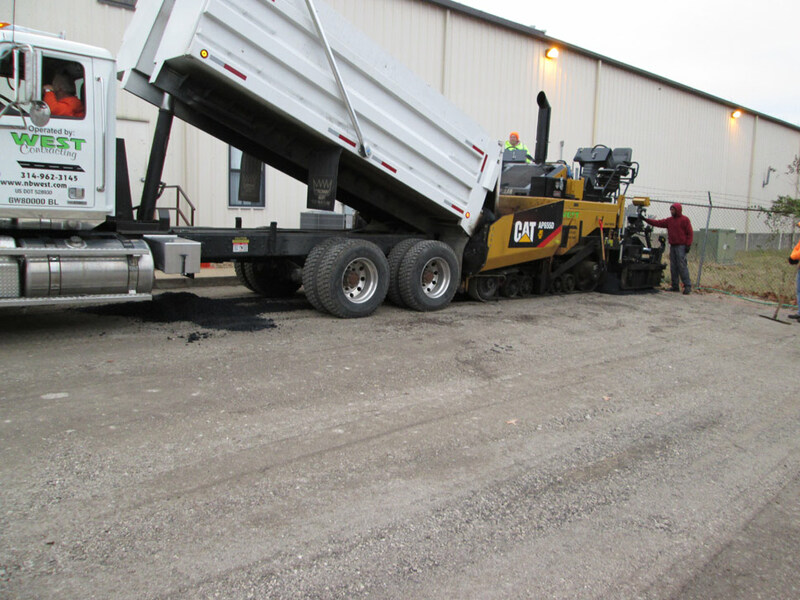 After the In Place Recycling was completed, we topped the roadway with 1" of a new hot mix asphalt surface course. 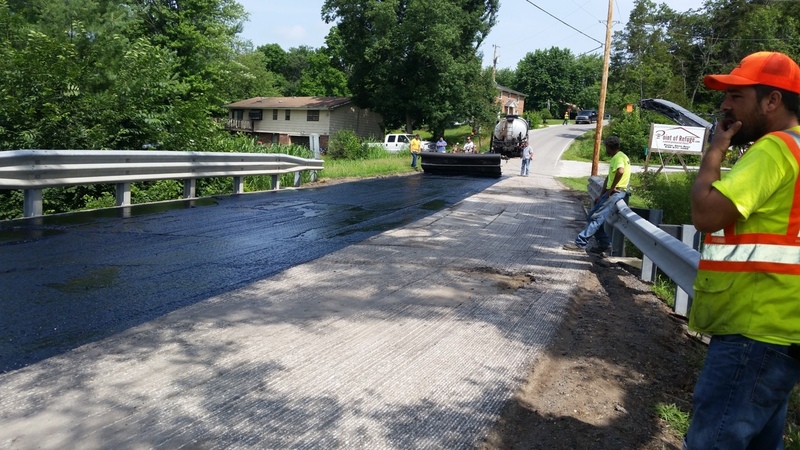 This process is used in rural areas to save taxpayer dollars on trucking tremendous amounts of material to and from the jobsite. 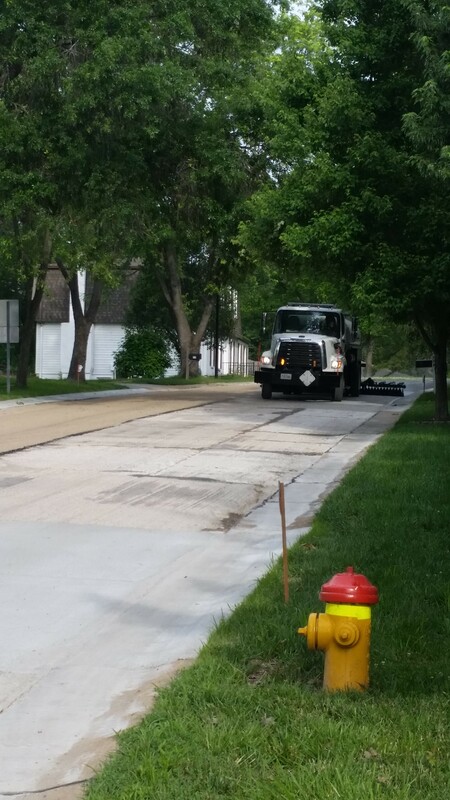 West Contracting completed a granite trap rock chip seal of various streets in Normady summer 2015. 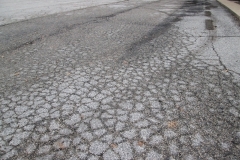 The streets were older, oxidized asphalt streets that were in need of preservation. 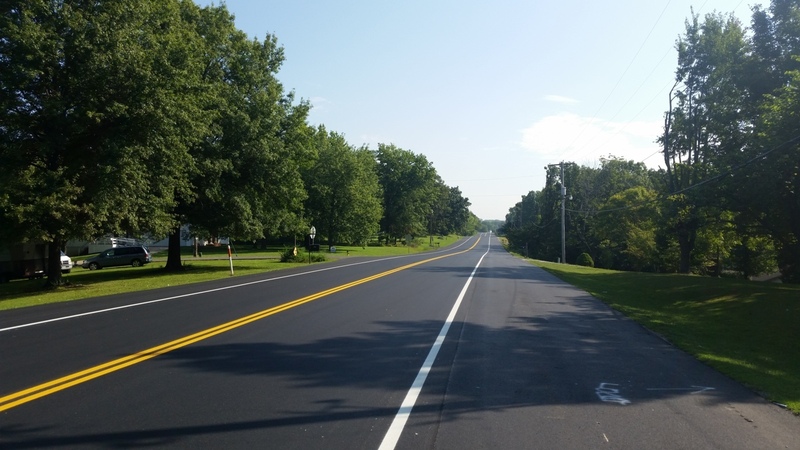 West Contracting completed a granite trap rock chip seal of various streets in Shrewsbury summer 2015. 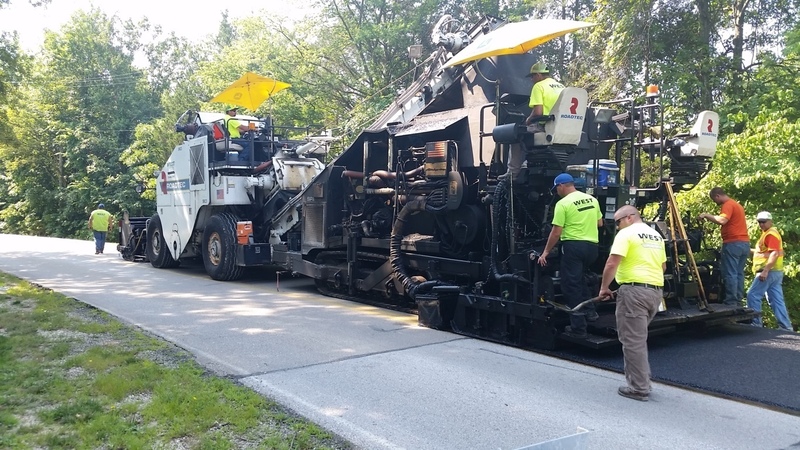 The streets were older, polished chip seal streets that needed a fresh chip seal to increase skid resistance and perserve the streets for years to come. 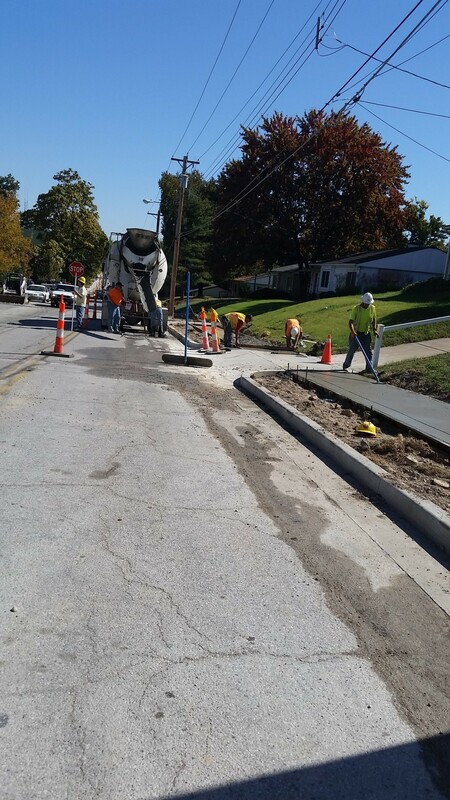 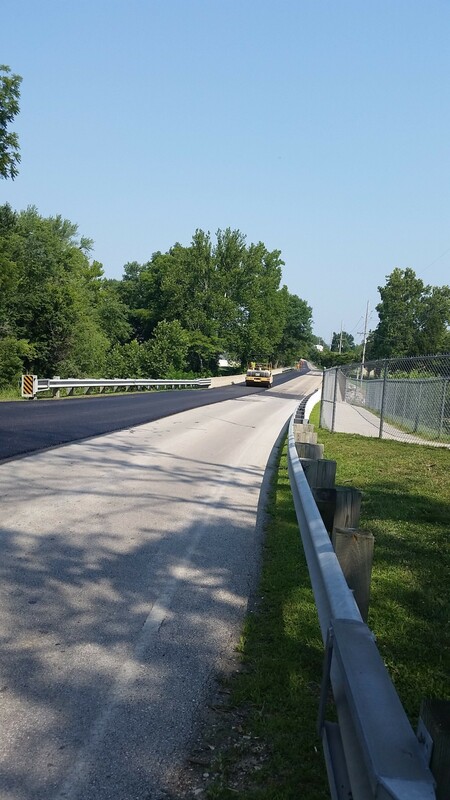 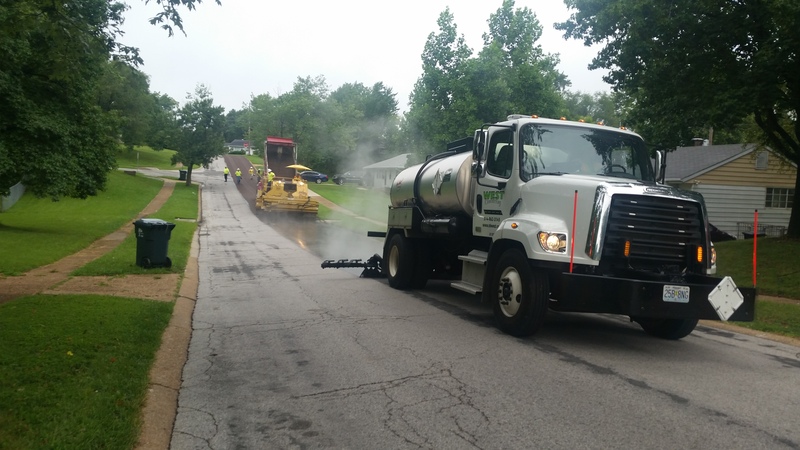 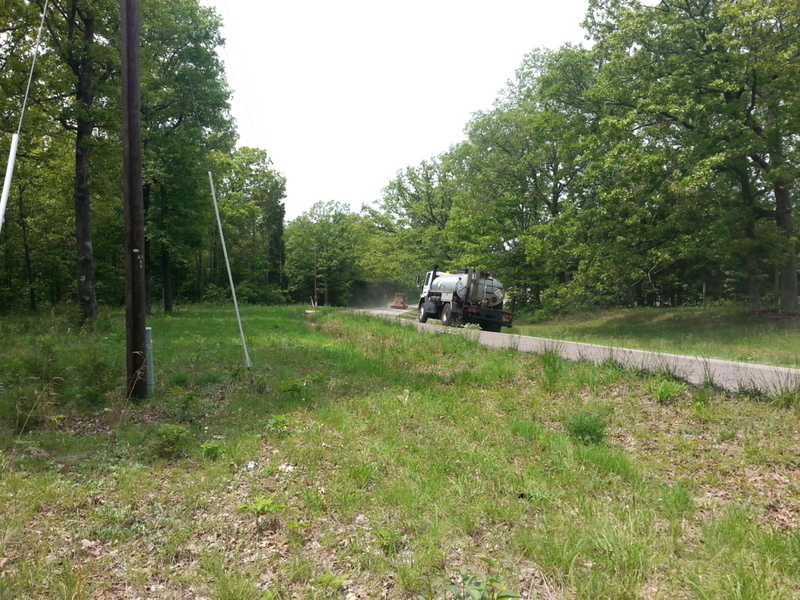 West Contracting paved various streets for the City of Hermann in Gasconade County, Missouri in 2015. 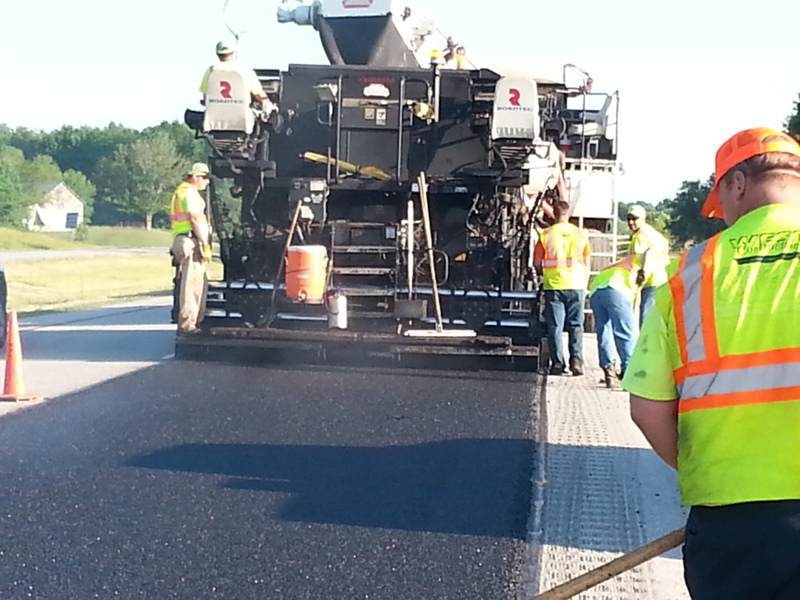 West Contracting milled and installed Superpave asphalt on I-44 and various connecting streets to the Arch Grounds from its House Springs Plant. 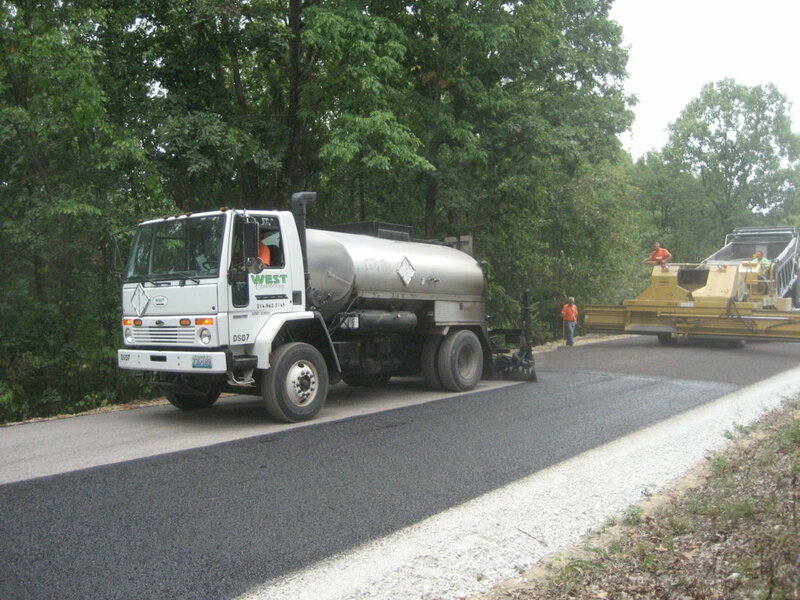 West Contracting was awarded the 2014 milling and paving program in Brentwood, Missouri. 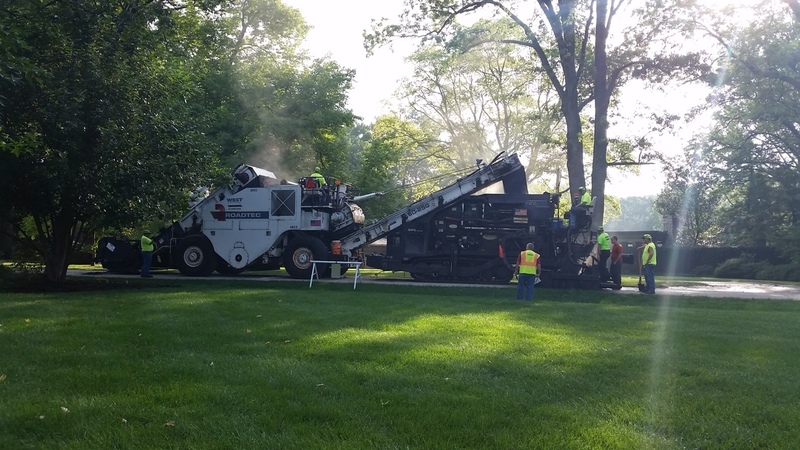 The project included milling and paving Wrenwood Ave., one of the busiest streets through Brentwood and the Brentwood Forest condominiums! 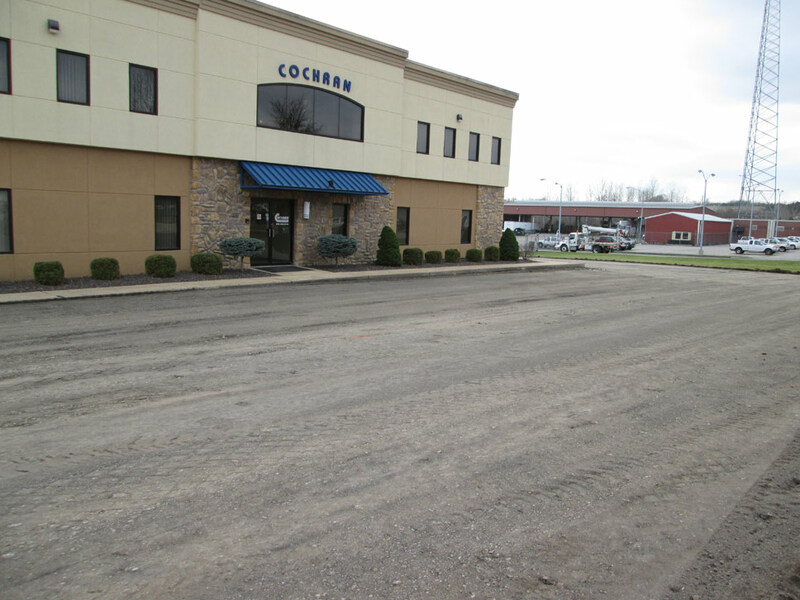 West Contracting helped Cochran Engineering reconstruct their existing parking lot in Union, MO. 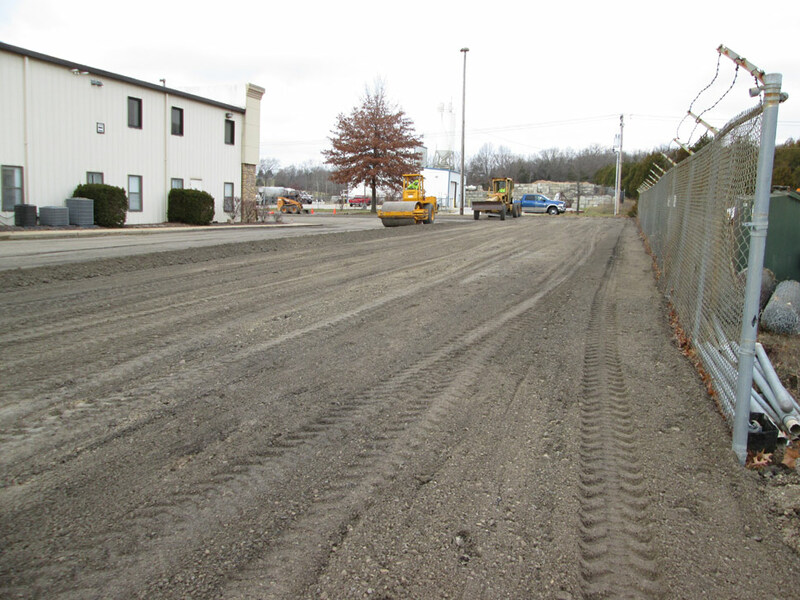 Instead of excavating and hauling away the existing parking lot, we agreed to rotomill and grind it in place and use it as additional base material before a new layer of asphaltic concrete was placed on top of that. 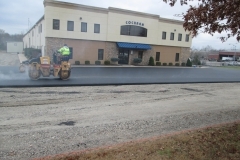 It saved money and increased the thickness of the base material under the new pavement. 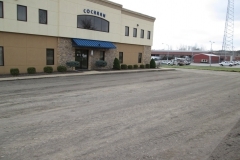 West Contracting was awarded a 260,000 sq. 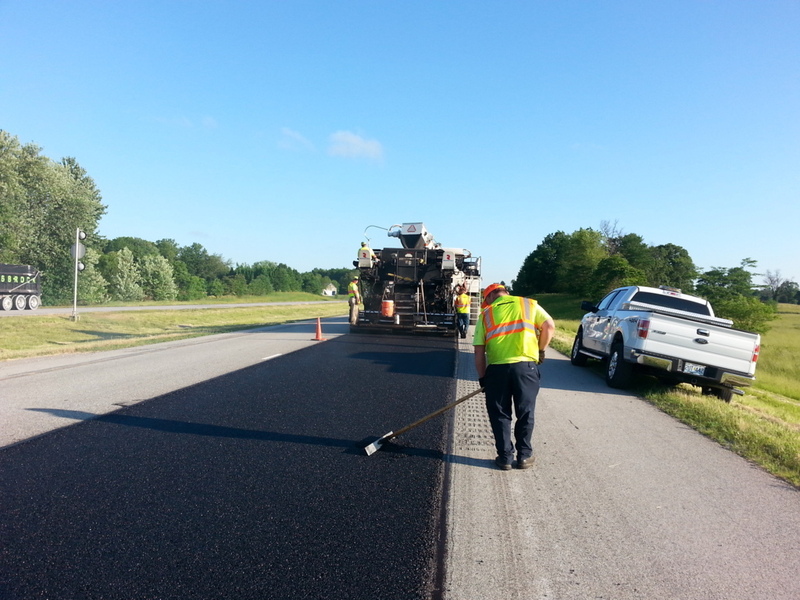 yd chip seal for MoDOT from Sullivan, MO to Gerald, MO. 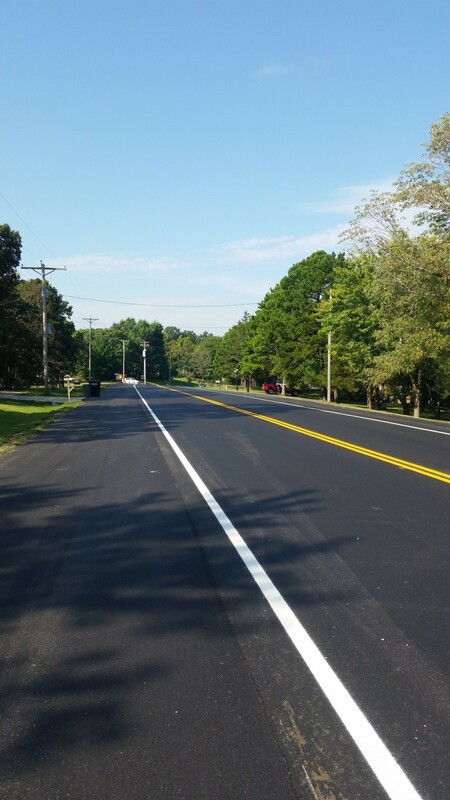 West Contracting installed a 3/4" Type A Novachip (Ultra Thin Pavement) in a private residential subdivision that the company paved nearly 20 years ago. 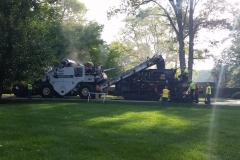 West Contracting recieved the call that they had paved the subdivision 20 years ago, and were so happy with how it performed, they wanted our expertise on a pavement preservation or mill and overlay. 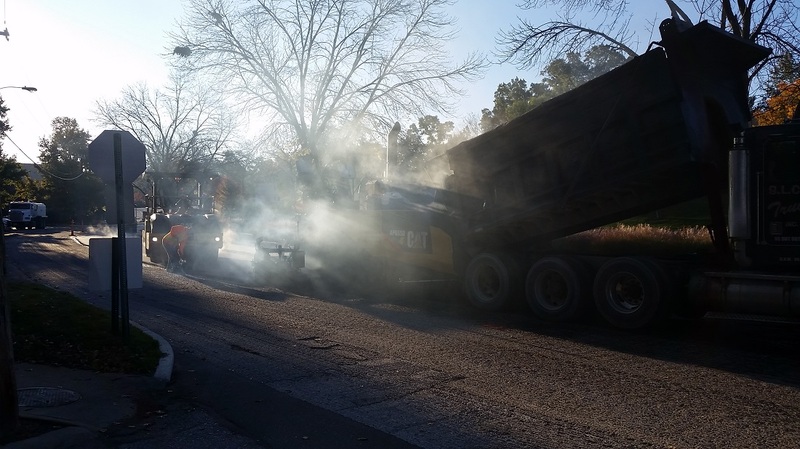 The neighborhood decided to have an ultra-thin pavement installed to preserve the existing road another 10 years. 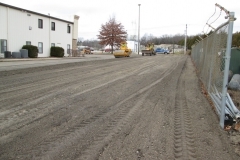 West Contracting was awarded the 2014 Novachip Contract for the City of Festus. 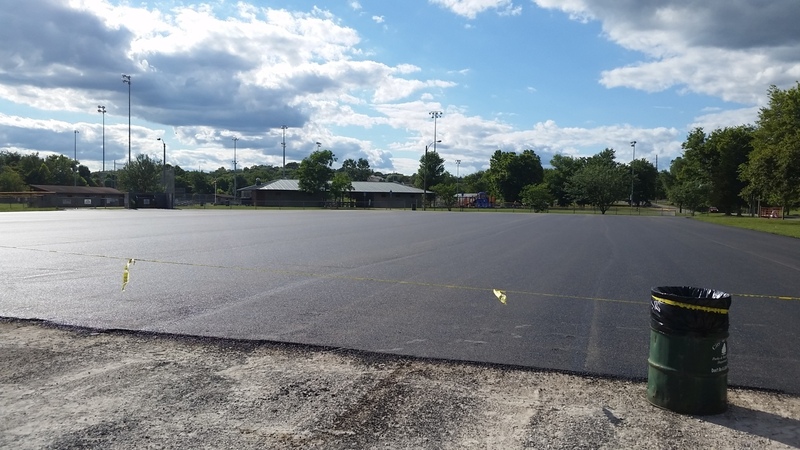 We applied this surface treatment on various roads, West City Park, and Old Route A.
Queeny Park was looking to chip seal their old, existing parking lot across from the Ice Rink. 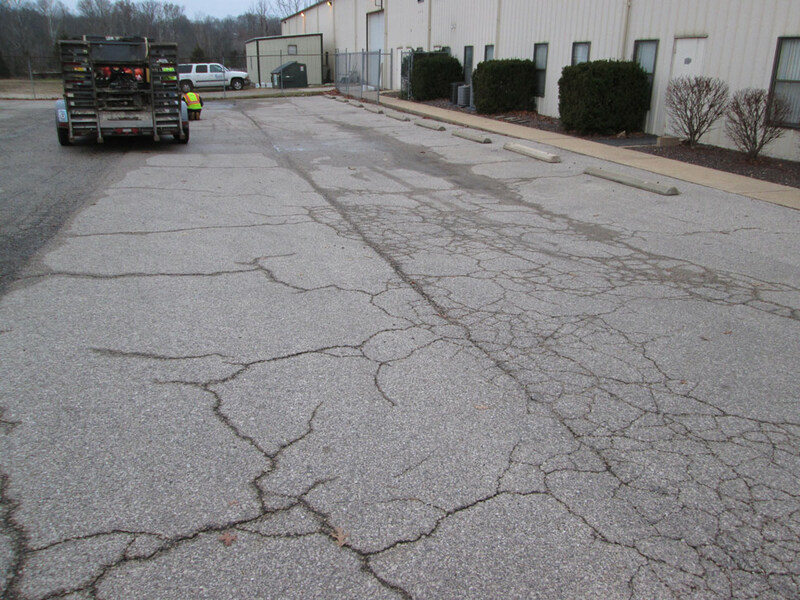 It had been cracksealed many times and was showing its age. 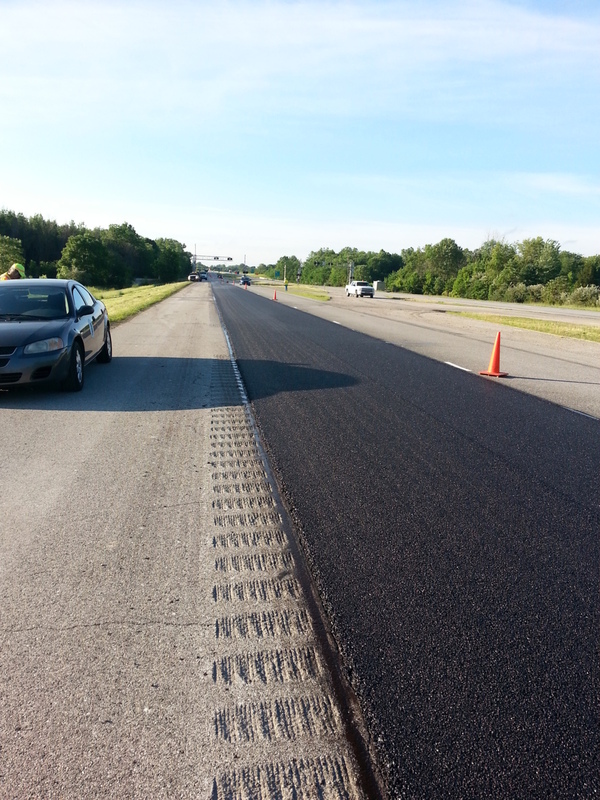 West Contracting installed a 1/4" trap rock chip seal using CHFRS2-p as the emulsion. 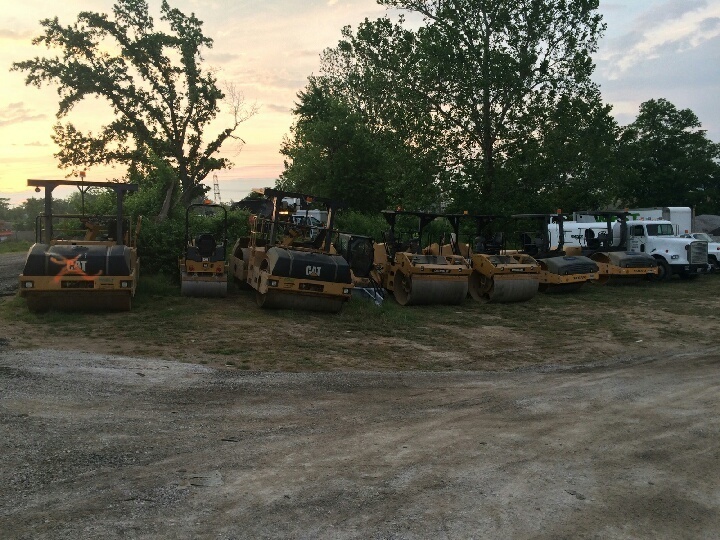 The finished product turned out perfectly to protect this lot for years to come. 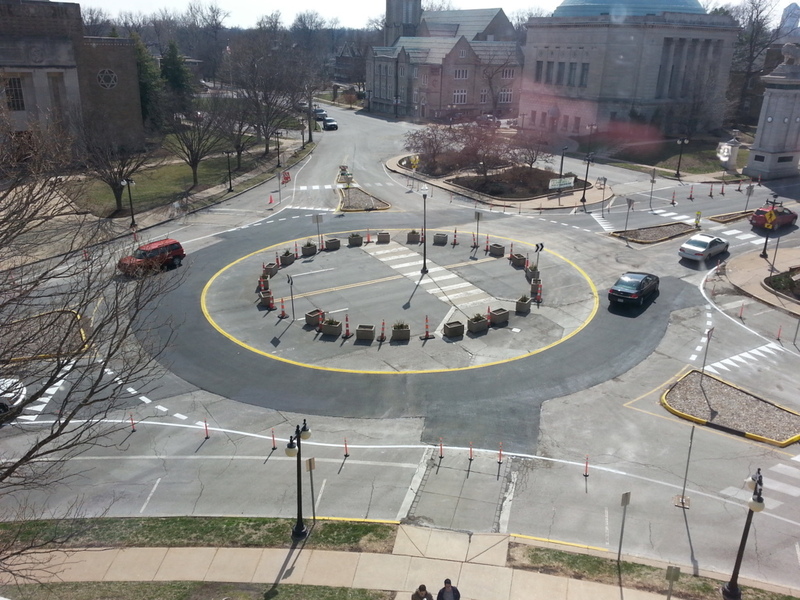 West Contracting helped University City re-pave a temporary round-a-bout constucted as a trial for the Loop Trolley Project. 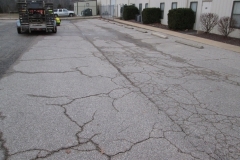 The pavement was in poor condition from the traffic running differentthan it was originally constructed for. 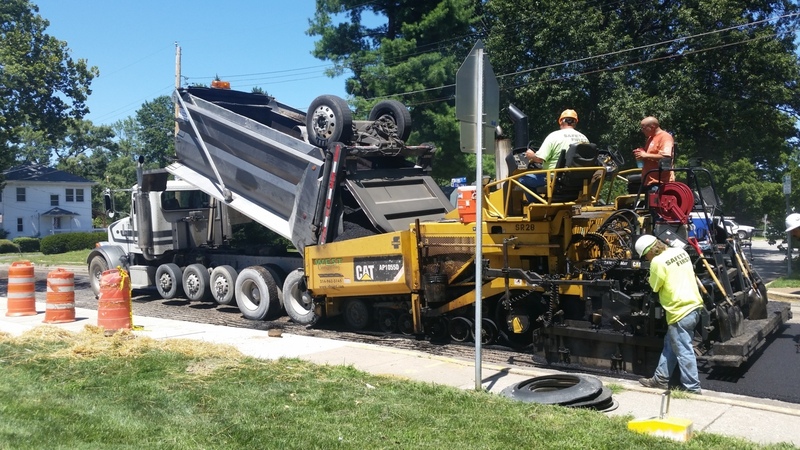 West Contracting was also awarded the asphalt placement for the Loop Trolley Project, more pictures coming soon! 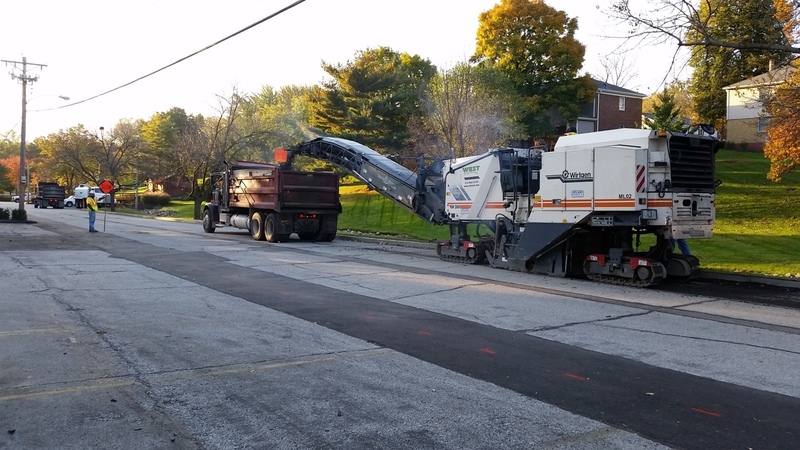 West Contracting helped a large private University City neighborhood chip seal the entire subdivision over 3 years. 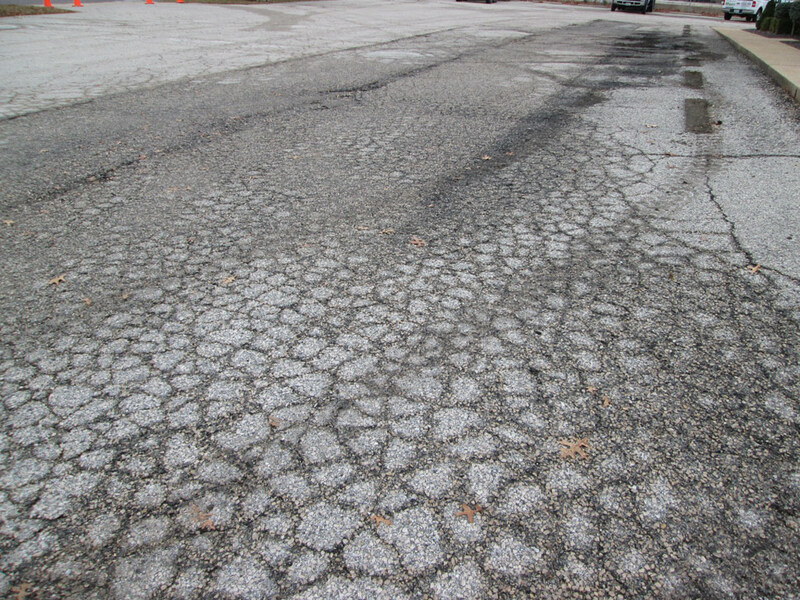 The existing street was an older 3/8" chip seal (multiple layers). 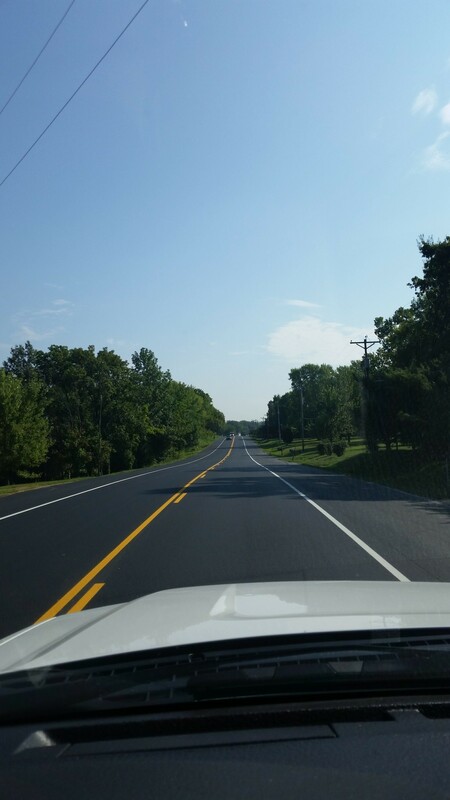 West Contracting installed a 1/4" chip seal for a tighter, more uniform appearance. 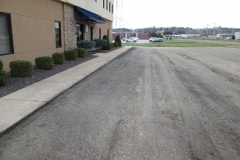 West Contracting placed two layers of 3/8" trap rock chip seal for Jefferson County in 2009.